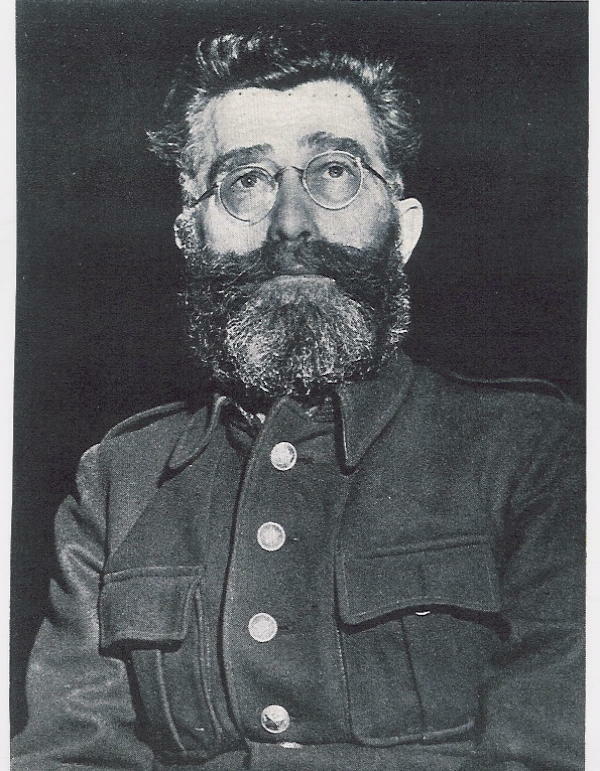 Aleksandra's Note: On this day, July 15, 1946, in a Belgrade court in General Draza Mihailovich's beloved Serbia, a verdict of "GUILTY" was declared against Mihailovich and several others after a little over a month's worth of "testimonies". The sentence was to be death by execution. There was an appeal, however, the appeal process was a short one, to say the least. The very next day, July 16, 1946, the "People's Court" rejected the appeal. The sentence was carried out on July 17, 1946, two days after the verdict was issued. There is much talk these days about "miscarriages of justice". This verdict, the rejection of the appeal, and the sentence that was carried out - all within a span of just two days - would fall under the category of "miscarriage of justice". It never ceases to amaze me how many crimes against God and humanity are committed in the name of "the people". "By pronouncing this verdict the Court considers itself to be a faithful interpreter of the national feeling for justice and equity, and that by the stigmatization of treason against the fatherland it has remained consistent to the agelong freedom-loving traditions of our peoples, who from time immemorial esteemed liberty above everything, and treason against the fatherland as the gravest crime, Death to Fascism - Liberty to the People." "The Presidium of the People's Assembly of the Federative People's Republic of Yugoslavia at its meeting on July 16, 1946, considered the pleas for mercy submitted by those sentenced to death; namely: Dragoljub-Draza Mihailovic personally; by the Counsel for Defence of Mladen Zujovic; by Radoslav-Rade Radic personally; by Milos Glisic personally; by the Counsel for Defence of Petar Zivkovic; by Dragomir-Dragi Jovanovic personally; by Tanasije-Tasa Dinic personally; by Velibor Jonic personally; by Dura Dokic personally; by Kosta Musicki personally and by Bosko Pavlovic -- and has decided to reject the appeals for mercy of the above mentioned persons." "After the Presidium of the People's Assembly of the Federative People's Republic of Yugoslavia had rejected the appeals for mercy of the traitors and war criminals who were sentenced to death, the death sentence was executed on Dragoljub-Draza Mihailovic, Radoslav-Rade Radic, Milos Glisic, Dragomir-Dragi Jovanovic, Tanasije-Tasa Dinic, Velibor Jonic, Dura Dokic, Kosta Musicki and Bosko Pavlovic."